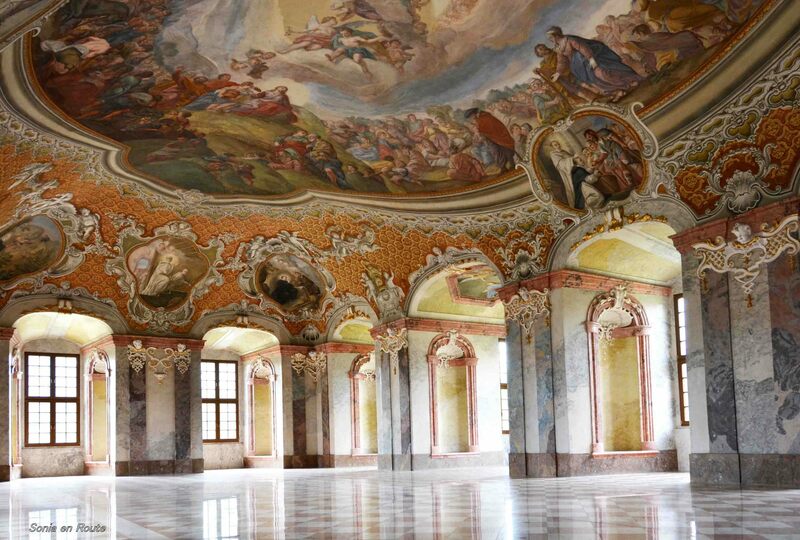 Abbot’s Refectory is the last room on our walk through Cistercian Abbey and Monastery in Lubiaz. 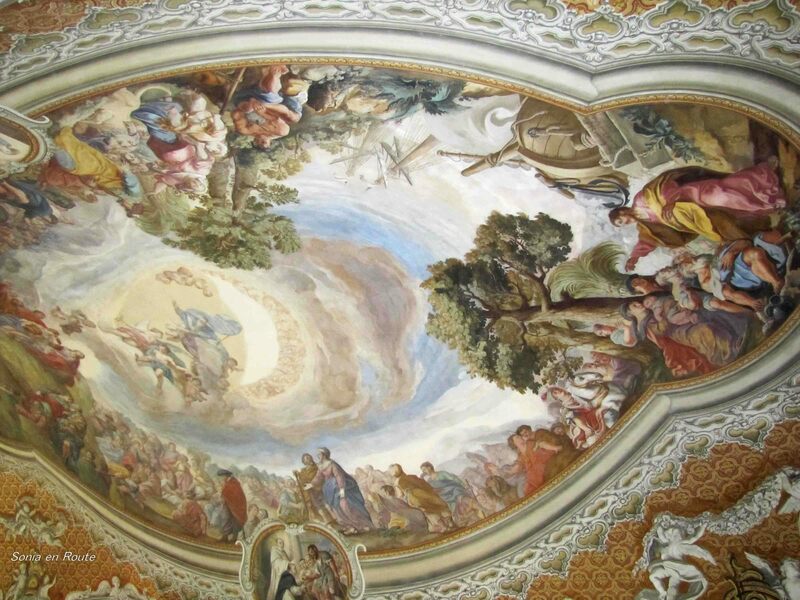 Paintings and frescoes are done by Michael Willmann. Very talented but capricious artist was known as the Silesian Rembrandt. His antics as an “artistic soul” are remembered to this day by the following story. 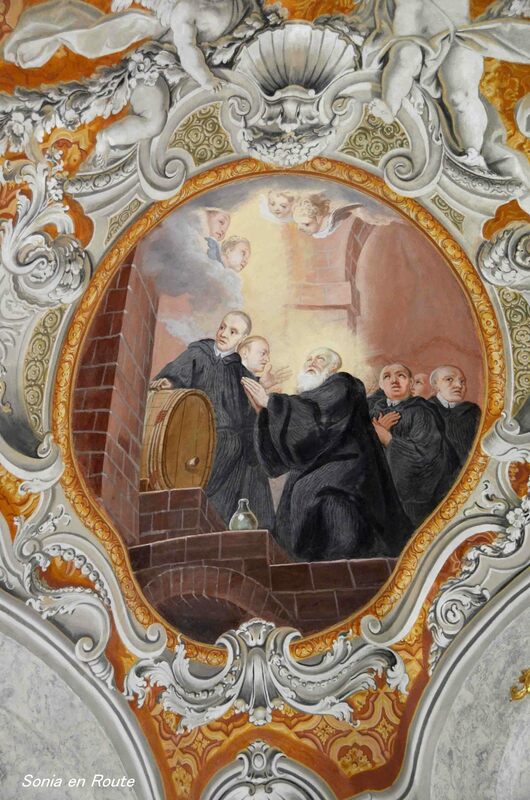 Commissioned by the Abbot to paint this Refectory, he decided to first get drunk, then recover for a few days, and finally when not paid promptly enough proceeded to paint the Abbot “in Adam’s clothes”. The terrified Abbot quickly reached to his coffers and only then the mollified artist graciously added adequate clothing to the painting. For a view of the church and the monastery, you can visit Prince’s Hall, Summer Refectory, and the Abbey Church. Fantastic paintings. Thanks for sharing this beautiful place. Kiedy ty byłaś w tym Lubiążu? W zeszlym roku i dwa lata temu. Jak odwiedzam moich we Wroclawiu, bo to jest bardzo blisko od nich.